Jesus Potter Harry Christ, ch. 10: From Mystery to History . . . .
Having argued in the preceding chapters that Christianity began as another type of mystery religion, or really a spread of “interactive and heterogeneous communities”, and not with a historical Jesus, Derek Murphy in this final chapter explains why such “mystery” type religious communities were displaced by something quite different based on a belief in the historical truth of the Jesus narrative. Murphy shows that the rise and spread of what became the orthodox Christianity that we know had very practical political and psycho-social causes, and can hardly be said to be the result of any miraculous forces. One of the main sources Murphy draws upon for this chapter is the reputable The Rise of Christianity by W.H.C. Frend. 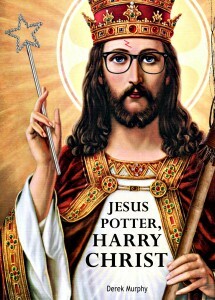 Continuing here my reviews of Jesus Potter Harry Christ by Derek Murphy. All reviews are archived here, and on the Jesus Mysteries discussion group. In this chapter Derek Murphy offers an explanation for how and why the original teachings of Christianity, and Paul in particular, were lost and replaced by the narrative we are familiar with today, that Jesus was a literal flesh and blood historical person. Having begun with a spiritual message, Christianity eventually emerged with a teaching of a physical Jesus and even of a physical resurrection. What Murphy describes as a “Jewish mystery cult” (addressed in the previous chapter) was a two-edged sword. Continuing here the series of chapter by chapter reviews of Jesus Potter Harry Christ by Derek Murphy. The series is archived here and on the JesusMysteries discussion group. 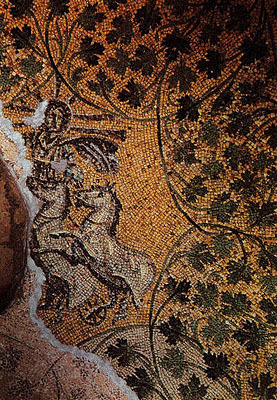 This chapter, titled Jesus the Handsome Prince: Reuniting With the Higher Self, surveys the way ancients appeared to interpret many of their myths as symbolic of spiritual processes common to all humanity. The central mythical idea he explores in this chapter, and one with clear links to the Christian myth, is the one that tells the tale of a descent into a world of matter, often accompanied with torment, and a desire to return to an earlier blissful state, often accomplished through another who descends for the purpose of rescue, ascension and reunification. This post belongs to a series of chapter by chapter reviews archived here. I have yet to read the pioneering Christ myth arguments of the eighteenth century French savants Dupuis and Volney who, I understand, argued that Jesus Christ was based on astrological, in particular solar, myths. So I looked forward to Derek Murphy’s chapter 5 where he (re-)introduces astrological arguments purportedly underlying the Gospel Jesus myth. 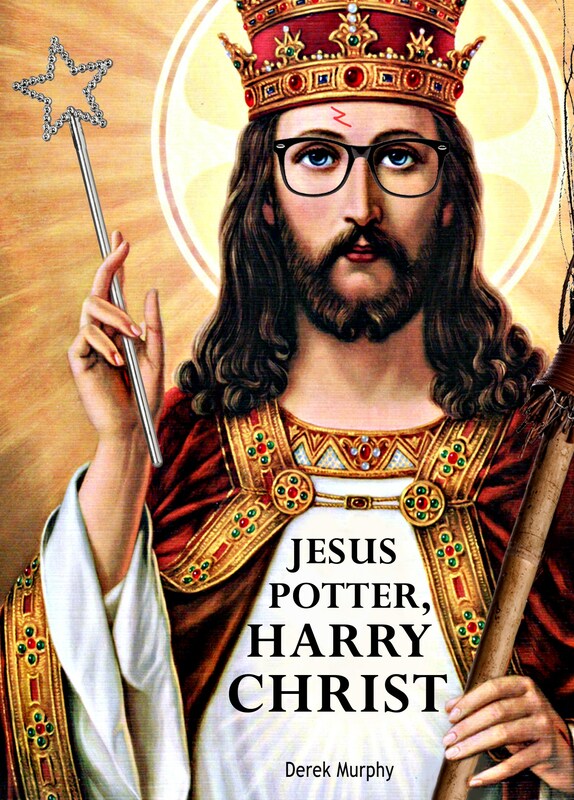 “Jesus Potter Harry Christ” review, part 3: Where’s the Proof? All posts in this series are collated here. He uses Lee Strobel’s claims for “overwhelming evidence” for Jesus’ existence as his foil, beginning with the claim that gospels such as that of Luke are “so painstakingly accurate” in their historical details. Murphy knocks this argument out flat by comparing the many researched minute details and accurate facts in the tales of Dan Brown’s Da Vinci Code and Rowling’s Harry Potter. So what has kept the mythicist controversy alive despite frustrated assertions among biblical scholars that the debate was settled long ago? Derek Murphy demonstrates in chapter two of Jesus Potter Harry Christ that the modern controversy over the historicity of Jesus “has a long and substantial history, and that, in effect, the jury is still out.” Derek Murphy is well aware that some of the works he uses have been questioned and disputed with the advance of academic research. His purpose is thus limited to showing the existence and heritage of the debate. My goal is only to demonstrate that a modern controversy over the historical Jesus exists, that it has a long and substantial history, and that, in effect, the jury is still out.